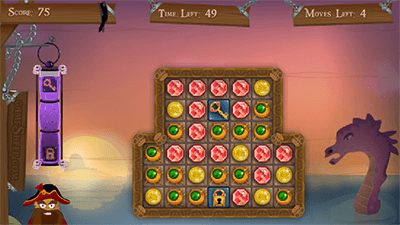 You are a treasures hunter, your goal is to try to collect all of the treasures in each level. Treasures are hidden in the chests. 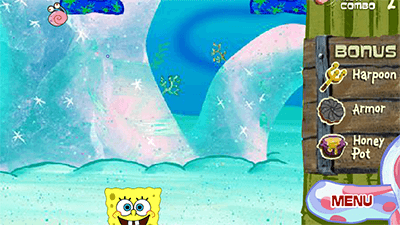 Find all of the chests to finish a level. 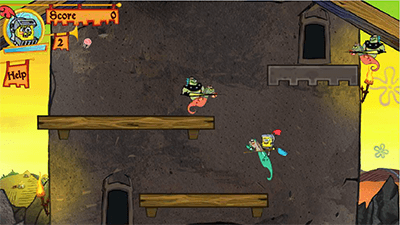 To gain score kill monsters, collect weapons and artifacts. Level is finished when you collect all of the chests. You can use energy to autoheal, but only in sections. You have to stand and wait. Weapons damage and speed: Melee weapon: 1. Machete – high damage, slow and close range. Ranged weapons 1: Pistol – medium damage and medium speed 2: Shotgun – high damage and slow speed. 3: Uzii – low damage and very fast speed 4: Magnum – very high damage and medium speed. 5: Dynamite – explosive that has highest damage Crystals – Red, Green, Blue Ctystals can: close or open doors and activate platforms. Refer to the icon on the wall for the specific crystal that you need. The map is in the bottom right conner, map shows you the location of all the chests, you are always in center of map. Controls: Move : Arrow keys or W,A,S,D. 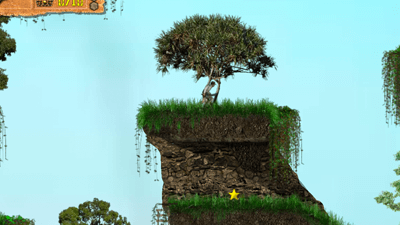 Climb : W or Z or Arrows Key, S or Arrow Keys. Down or S : Go into a cave, catacomb or lair. Jump : Space or E. Shot : L-Ctrl, R-Ctrl or F. To equipe available weapon press: 1: Machete. 2: Pistol. 3: Shotgun. 4: Uzii. 5: Magnum. 6: Dynamite.